Poinsettias are not as poisonous as once thought. Categories: Indoor | Tags: amaryllis, don't eat, mistletoe, Nebraska Extension, poinsettia, poisonous plants | Permalink. Categories: Indoor | Tags: amaryllis, Christmas cactus, Christmas Tree Recycling, Extension, holiday plants, Nebraska, Nebraska Extension, poinsettia, poinsettia care | Permalink. The holiday season is upon us. The cookies are baked, the decorations are up, and the holiday plants are blooming with all of their glory. Some of our favorite holiday plants have a potentially dangerous side and can do more than just add color to our homes. According to the Nebraska Regional Poison Center, plants were one of the top ten non-drug substances for human exposure in 2013. Do you think you know which of your holiday plants are safe and which ones are dangerous? Amaryllis is near the top of the list for forgotten poisonous holiday plants. These plants are one of the more poisonous plants that are brought in during the holiday season. Amaryllis are often sold during the holiday season as a large bulb. Once these bulbs are watered, they produce long strap like leaves and a flower stalk containing brightly-colored, trumpet shaped flowers. The toxic chemical that these plants contain is called Lycorine. 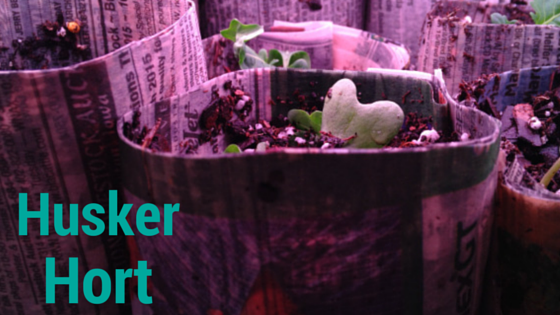 The most toxic part of these plants is the bulb. The other parts of the plants can also be toxic if they are eaten in large quantities. Kissing under the mistletoe sounds like an innocent- enough holiday ritual. Try researching the many meanings of this holiday tradition just for fun. 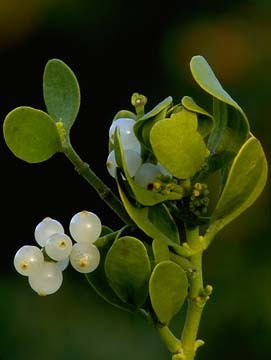 Real mistletoe is a common holiday plants that is sold dried in small packages to be hung in homes. The plant has green leaves and white berries and is a parasite-like plant that feeds off of other trees. With some species, eating a few of the berries would produce mild gastroenteritis, acute diarrhea and vomiting. Want to rethink kissing under a poisonous, parasitic plant? Another holiday plant gets a bad reputation for being extremely poisonous, the poinsettia. According to research, they are not considered poisonous. According to the POISINDEX, the primary resource used by most poison control centers, a 50 pound child would have to eat more than 1.25 pounds of colored poinsettia bracts, about 500 to 600, to exceed the experimental dose. That is not to say that there wouldn’t be some stomach upset or vomiting if some were eaten. Looking for some completely safe holiday plants? The Christmas cactus and kalanchoe are two plants that are deemed non-poisonous by the Nebraska Regional Poison Center. The Christmas cactus has flat, fleshy stems that resemble leaf-like pads which are joined to one another in a chain-like pattern. The flowers are usually held at the tips of the stems or in the ‘leaf’ axils and are usually pink to red. The kalanchoe has semi-fleshy leaves and flowers that are held in umbels above the leaves. The flowers come in a wide range of colors including yellow, orange, red, and pink to name a few. Regardless of the plant, resist the urge to eat them and just admire the perfect holiday plant this season. For more information contact Elizabeth Killinger at ekillinger2@unl.edu, 308-385-5088, on Facebook, Twitter, her blog at http://killingerscollection.wordpress.com/, or visit the University of Nebraska-Lincoln Extension website: hall.unl.edu. Categories: Uncategorized | Tags: amaryllis, mistletoe, Nebraska Extension, poinsettia, poisonous plants | Permalink.